3.40x3.78 Save the Date Full Color Square Corner Magnets – This particular design is favored by professionals, business owners, and people who wish to make those announcements hear loud and clear. 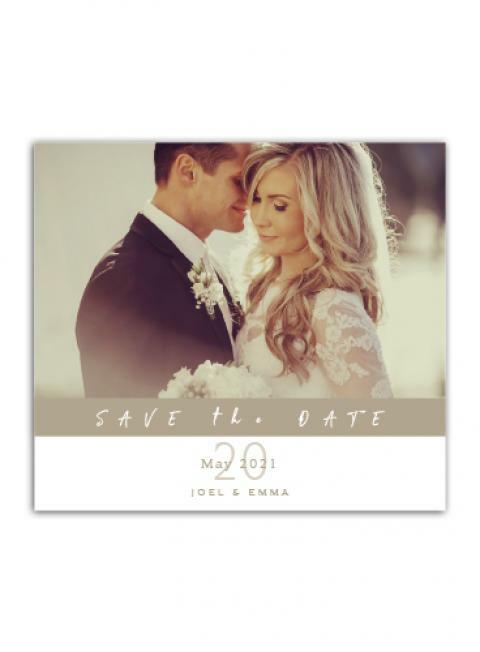 3.40x3.78 wedding save the date magnets make a best choice to announce the opening of a new shop, a family celebration, or to make announce any milestone event with ease. This great looking full color square cornered magnet can be customized with suitable contact information and images. You just need to send us your requirements and lay back to see that all invitees have made it a point to make it to the event. Product Size: 3.40 in. x 3.78 in.